This recap report is mainly summarizing some of the major (remote) observations. The examples shown are far from exhaustive. 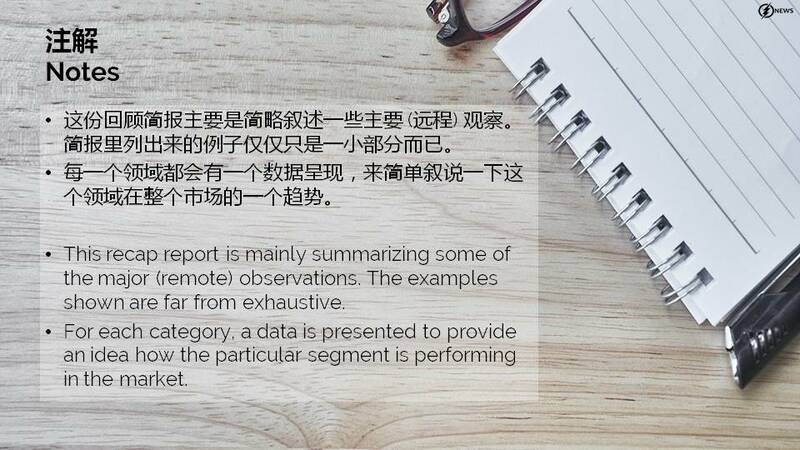 For each category, a data is presented to provide an idea how the particular segment is performing in the market. 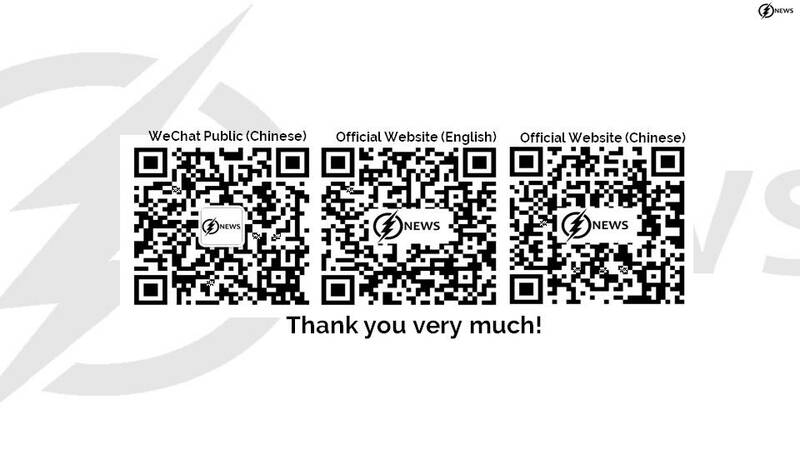 Last year recap is available here. 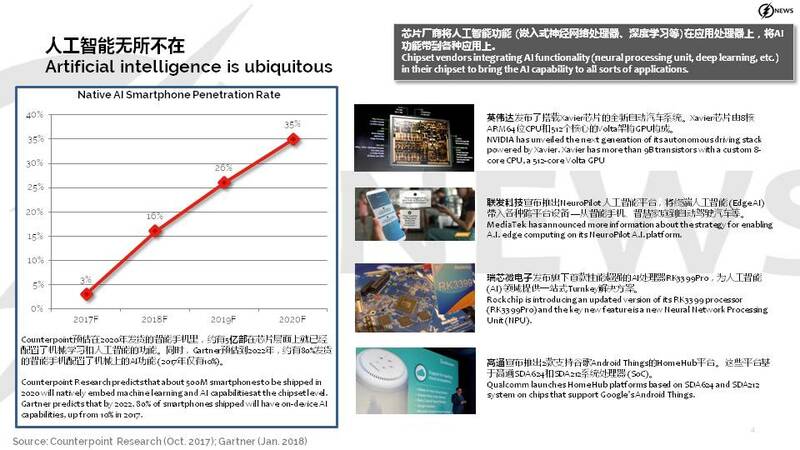 Chipset vendors integrating AI functionality (neural processing unit, deep learning, etc.) in their chipset to bring the AI capability to all sorts of applications. 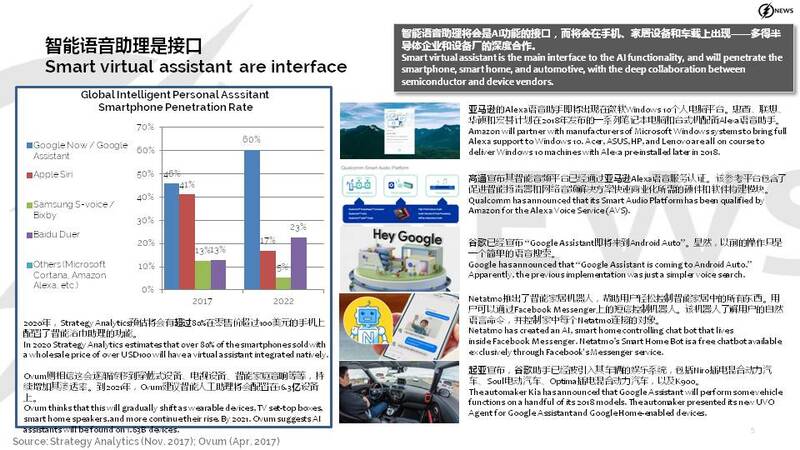 Smart virtual assistant is the main interface to the AI functionality, and will penetrate the smartphone, smart home, and automotive, with the deep collaboration between semiconductor and device vendors. 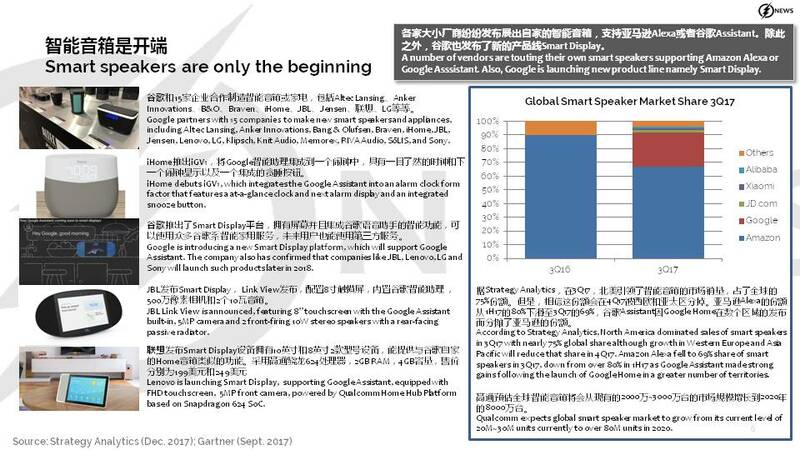 A number of vendors are touting their own smart speakers supporting Amazon Alexa or Google Asssistant. Also, Google is launching new product line namely Smart Display. 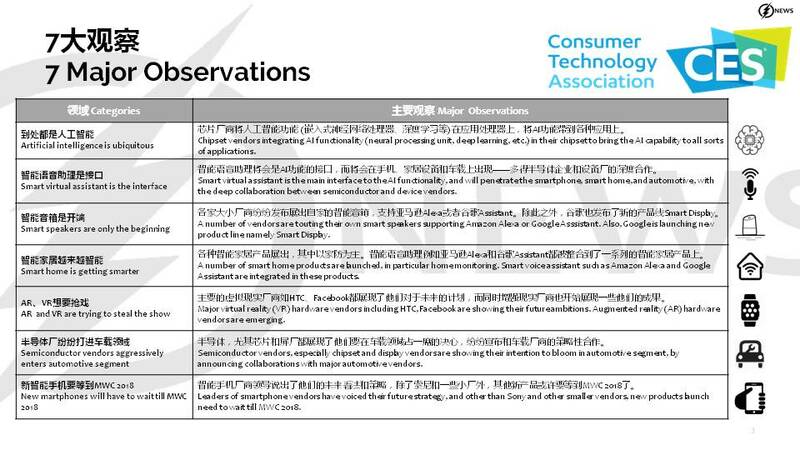 A number of smart home products are launched, in particular home monitoring. 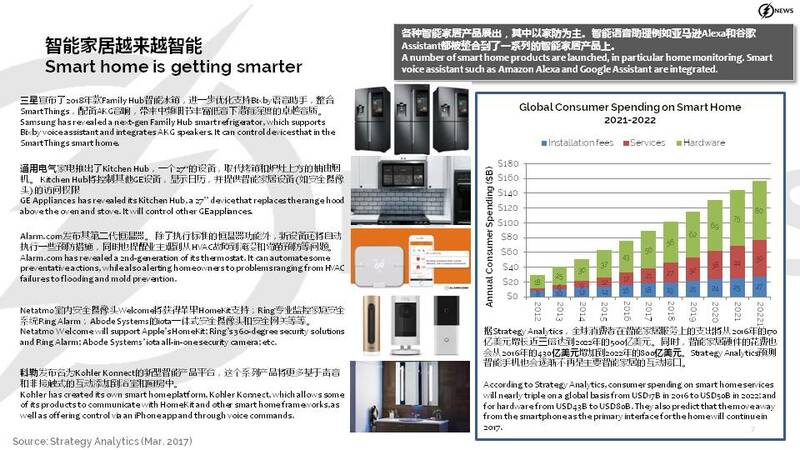 Smart voice assistant such as Amazon Alexa and Google Assistant are integrated in these products. 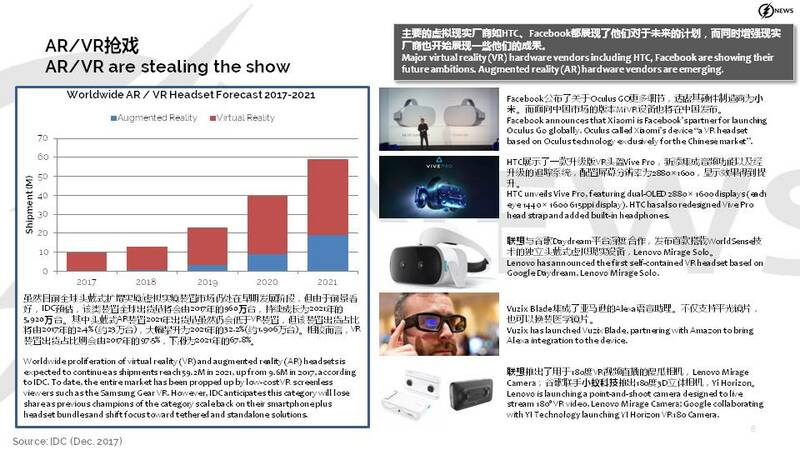 Major virtual reality (VR) hardware vendors including HTC, Facebook are showing their future ambitions. Augmented reality (AR) hardware vendors are emerging. 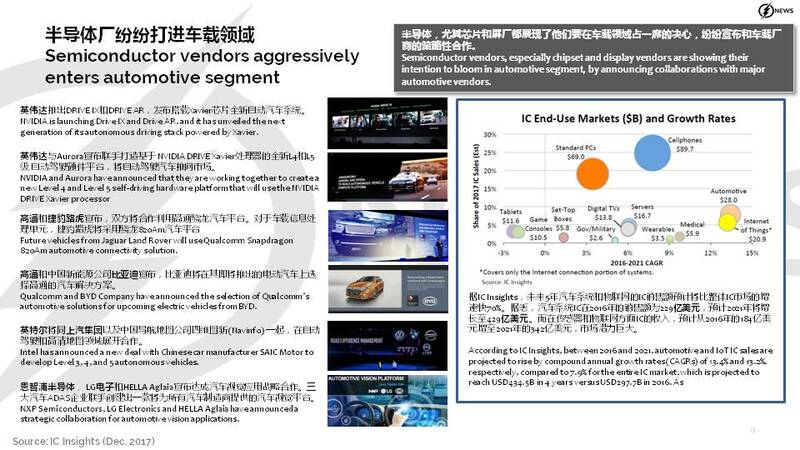 Semiconductor vendors, especially chipset and display vendors are showing their intention to bloom in automotive segment, by announcing collaborations with major automotive vendors. 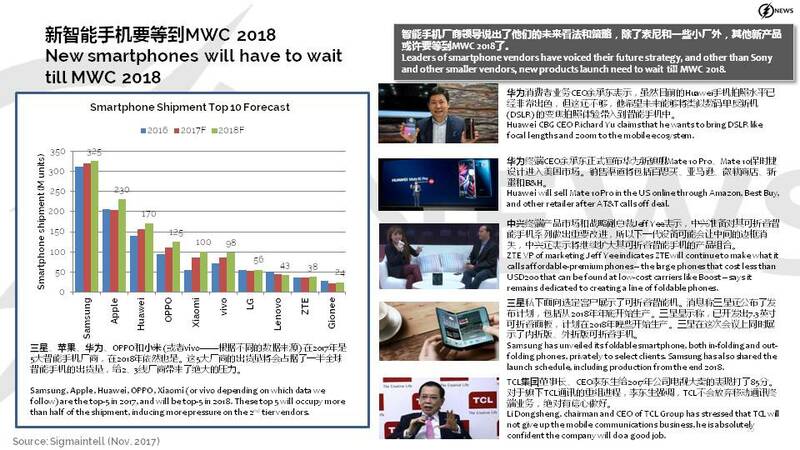 Leaders of smartphone vendors have voiced their future strategy, and other than Sony and other smaller vendors, new products launch need to wait till MWC 2018. 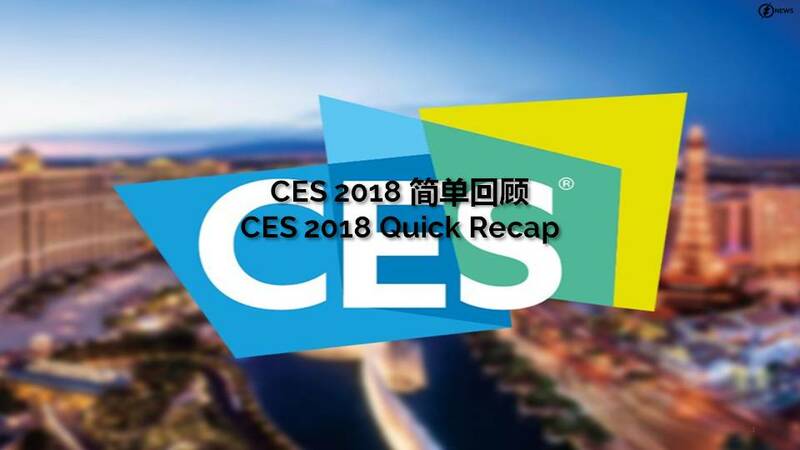 01-27: Qualcomm has partnered with a number of Chinese vendors on a new 5G project meant to lead to the commercialization of 5G-ready Android smartphones in 2019; etc. → ← 01-25: The European Union has fined Qualcomm USD1.23B for a violation of antitrust laws; JDI has developed a transparent glass-based capacitive fingerprint sensor; etc.